4k00:44Close up of green-yellow poison toad (Poisonous amphibian) sitting and breathing on the dirty floor tiles in the corner of toilet room. Selective focus to the toad eye. 4k00:08Frog in an oasis in the Omani desert. 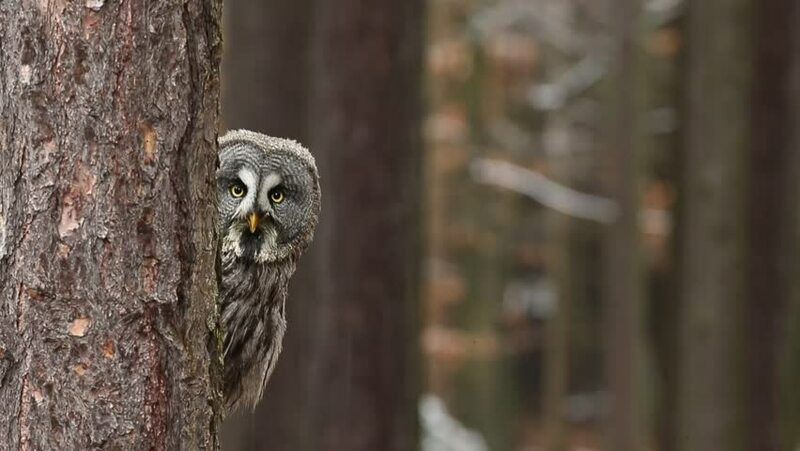 4k00:23Owl on the larch tree with lichen. Bird with big yellow eyes. Boreal owl detail portrait of bird in the nature habitat, Germany. Wildlife scene from spring nature. Forest bird in the tree.